JOWA USA is the North American distributor of JOWA AB products. JOWA AB manufactures environmentally related equipment for the shipping industry and is backed by 50 years of proven reliability. Their pioneering technology is recognized worldwide for emulsion breaking systems, oil discharge monitoring and control systems, and fresh water sterilizing equipment. Products are approved by major classification societies that include DNV, LR, ABS, BV, GL, and USCG. 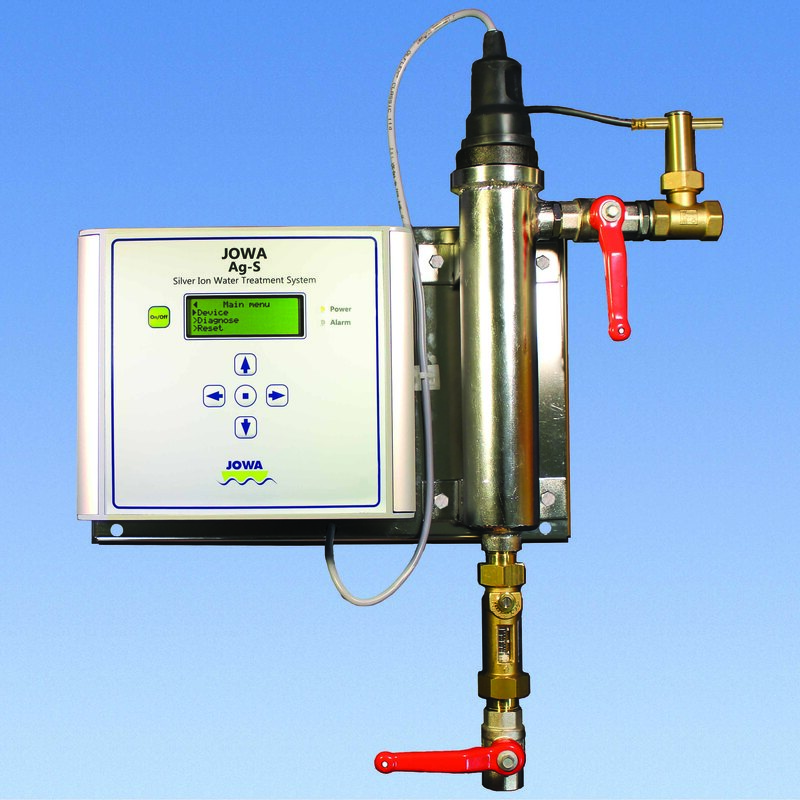 The JOWA Oil Discharge Monitoring and Control System (ODME) is the world’s best selling system. 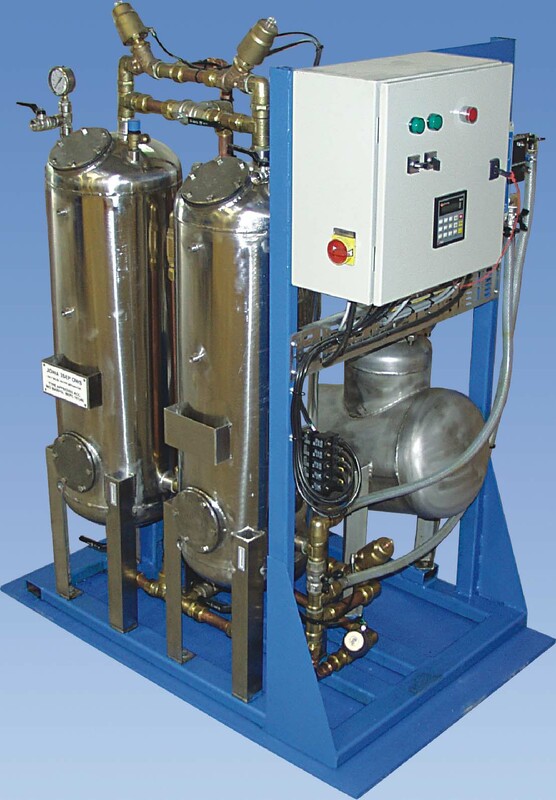 The JOWA 3SEP OWS is a dual stage oily bilge water separation system utilizing differential specific gravity, coalescence plates and filtration to separate and remove free and emulsified oil. The system is designed as a skid assembly with all connection points collected for easy installation. To eliminate corrosion problems the tanks are made of stainless steel, AISI 316L. Spare parts are easily available from one of our offices or representatives worldwide. 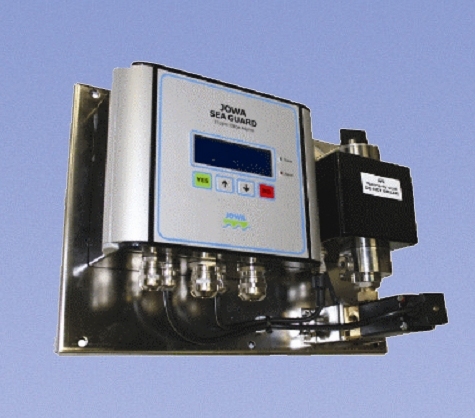 The JOWA Seaguard is a 15ppm Bilge alarm that is designed to monitor the effluent from a bilge water separator. The alarm is approved to IMO MEPC 107(49). There are 2 alarms signals that are triggered by the ppm oil content of the separators effluent which are adjustable between 0-15 ppm. The SeaGuard has an automatic function to keep the sensor clean. The log is controlled by a signal from the separator and is saved on a removable SD card. Type approved by: DNV, USCG, RMRS and CCS. The JOWA Emulsion Breaking Unit is designed to break apart water in oily water emulsions. The unit separates up to 80% of the water in the emulsion. The treated water is then fed to an IMO MEPC 107(49) approved filter type/bilge water separator such as the JOWA 3SEP. 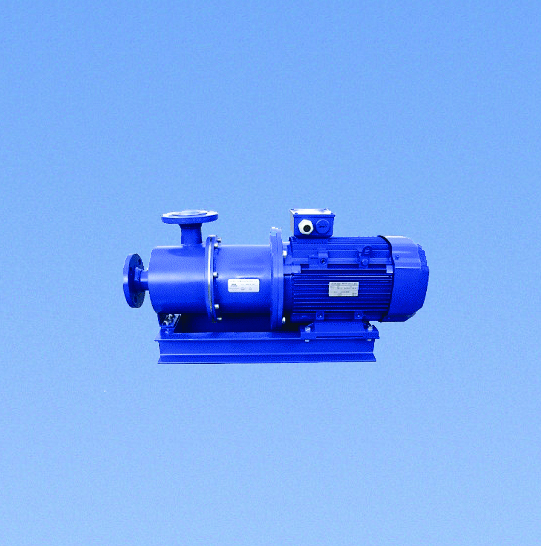 Use of the JOWA EBU combined with the JOWA 3SEP can reduce oil discharge levels to 2PPM or less. 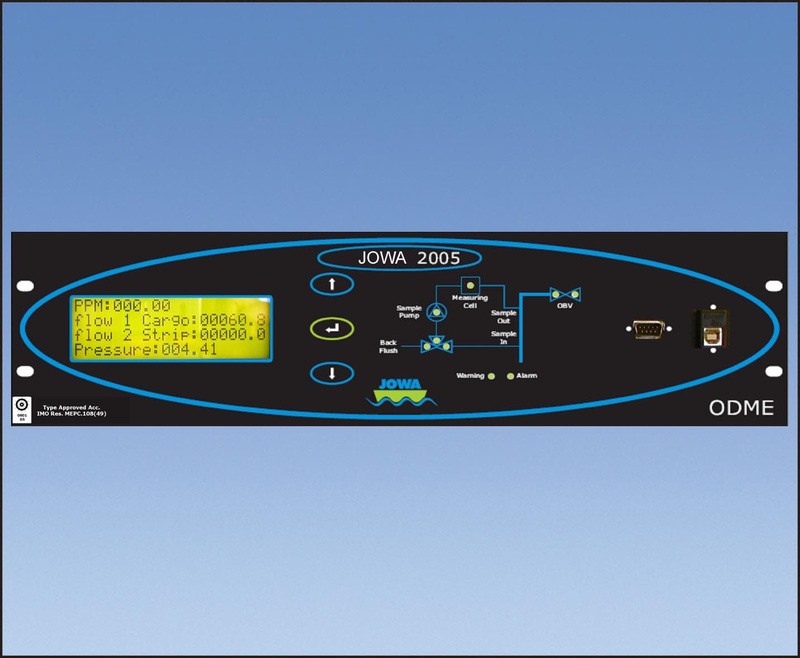 The JOWA ODME 2005 Oil Discharge Monitor is approved as a “third generation” monitor, based on IMO resolution MEPC 108(49). It is easy to operate and has a menu that is self-explanatory. The equipment is robust and easy to install and maintain. Its unique self-cleaning feature makes manual cleaning virtually unnecessary. The high quality JOWA ODME is designed to last many years, even in rough environments. Treatment of drinking water with silver is a very old method and is used in many parts of the world. This method goes back to the ancient Egyptians and beyond. Dosing water with Silver ions kills off bacteria, germs and algae, and controls their regrowth within the water storage and distribution system. Since its introduction in 1970 thousands of ships have installed JOWA's Ag-S due to its simple design, high quality, and long service life. JOWA F/2 - Rehardening/pH-adjusting filter for potable water systems equipped with fresh water generators. JOWA F/R - Sand filter to remove solid particles in most water systems. JOWA F/L - Dechlorination/activated carbon filter for improvement of taste and smell in fresh water system. JOWA F/dH - Filter for dehardening/softening of water. A wide variety of units are available for ship and offshore use. 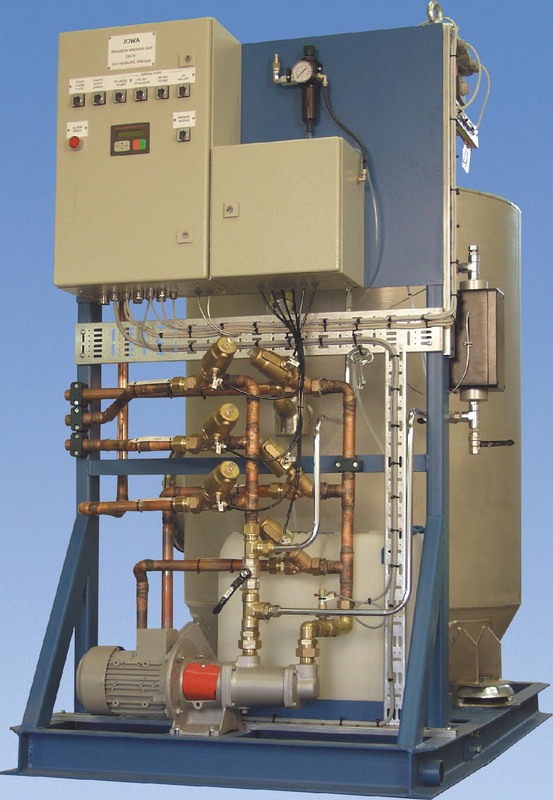 Pressure vessels, circulation pumps and other equipment can be provided separately or as complete, ready-mounted unit with control cabinet piping and valves. 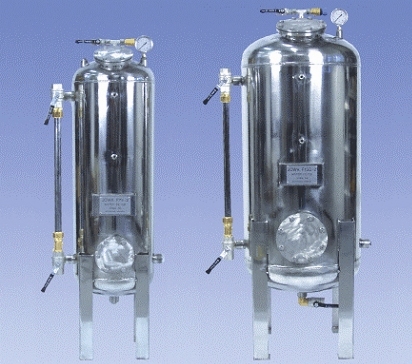 The tanks are made of stainless steel 316L. 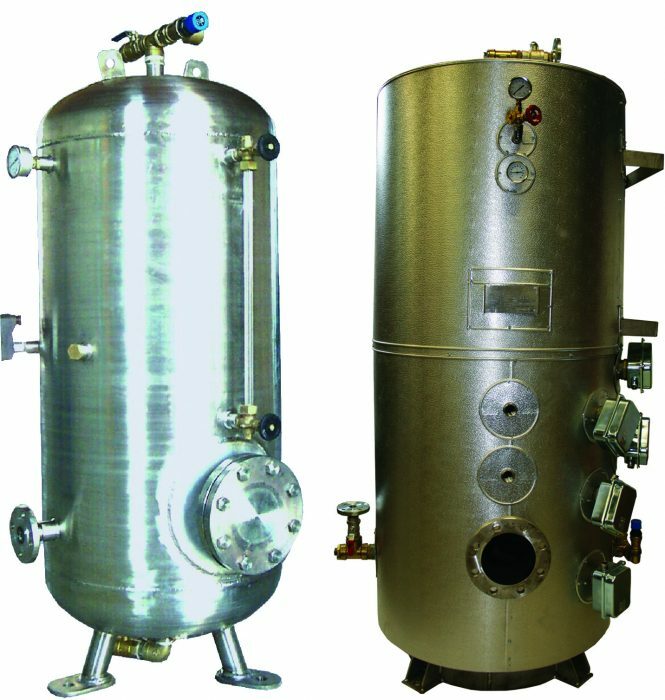 A variety of standard sizes from 100L to 2000L are available. Our products come with control cabinet, heating elements and thermostats. Alternative heating sources like steam or hot water and circulation or pressure boosting pumps can also be provided. Part of the JOWA Fuel Management System, the Homogenizer reduces larger asphalt particles to less than 5 μm so they can be evenly blended and homogenized in the fuel without affecting fuel components prior to injection and combustion. The homogenizer efficiently treats incompatible fuel components and avoids instability or incompatibility problems during change over procedures prior to injection. The result is that the entire energy content in the fuel can be utilised, which makes for better economy.